We are thrilled to have such a diverse and interesting class of Dream Award recipients! Umesh’s story continues our series on each of the ten 2017 students. Throughout the next few months we will be posting more stories on a bi-weekly basis featuring these amazing individuals. Check out previous student stories by visiting our Success By Degrees blog. Life started out rough for Umesh Bhandari, who spent most of his early years in a refugee camp in Nepal waiting for his family’s opportunity to build their life in America. It was a helpless time, as there was no way for his parents to earn their living, and they relied solely upon government support. Umesh’s father started working a job in India for extra funds for his family. One day while traveling to work, his father passed out on the road. It took several hours for help to arrive and get him to the hospital in Nepal. However, because their family did not have money, his father was left untreated by the medical staff and died quickly. Finally escaping their precarious situation, Umesh moved to Fort Worth, Texas with his mom and brother. Immediately, he was behind the curve in school because he didn’t know English. Learning the language was a critical first step, because classes required he be able to communicate critical thinking and analysis. He started by memorizing as many words as he could, and by the time he was a sophomore in high school he was excelling in all subjects. Umesh joined a group called the Rising Leaders, which helped prepare high school students for college success. Through the program he volunteered over 200 hours, and it opened up an opportunity for him to intern in New York. He also put together an informational exhibit on the effects of alcohol on daily life for his community health fair. During his junior year he realized that he wanted to go into the medical profession to improve access to healthcare for people with low incomes. He felt it was not right that his father was denied treatment due to insufficient funds, and that all people should have the right to adequate care. Umesh eagerly pursued the nursing program at the University of Texas in Arlington. Navigating FAFSA and finding a work-study program with the help of a financial counselor to help him, Umesh was able to get accepted and begin to pursue his dream. That same counselor also informed him about the Dream Award. 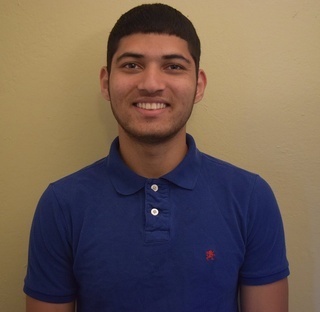 It was finals week when Umesh received an email from Scholarship America in his inbox. Lucky for Umesh, the email began with “Congratulations,” and he knew he would be able to finish his degree without searching for more funds. Umesh is currently in the nursing program at the University of Texas in Arlington, where he is also earning a minor in psychology. In the future, Umesh hopes to open a small clinic to serve under-resourced patients in a community similar to the one where his family used to live in Nepal.